The Jones Bond Store was a large complex of store buildings, the first being constructed on the site around 1865. The extant registered buildings are Stores B and C and building No. 11. These probably date from 1888. The B and C stores were constructed of English-bond face brickwork with cast-iron columns and timber floors and roof trusses. The five storeys are delineated by corbelled brick string courses, and arched and flat arched window heads alternate with each floor. An oculus in each gable is surrounded by cream brick with quoins on the four axes. Building 11 was constructed of brick and bluestone and has a shallow gable roof. 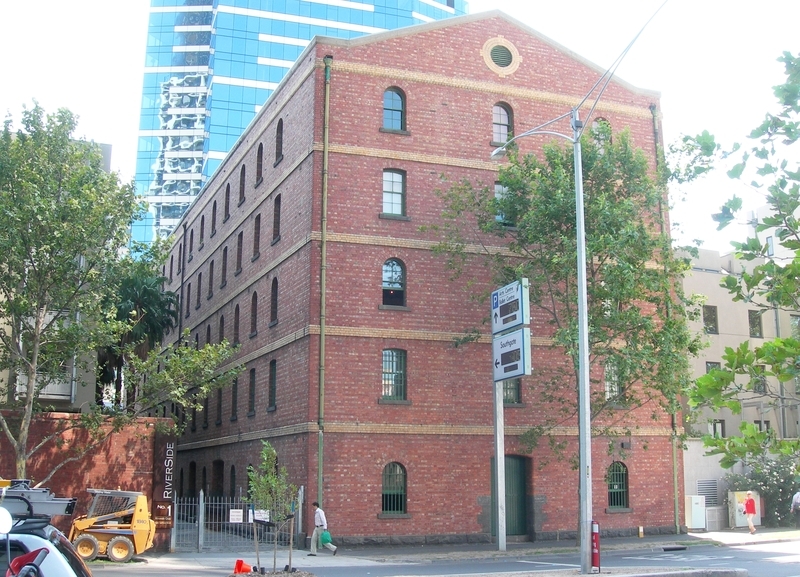 The Jones Bond Store is of historical and architectural significance to the State of Victoria. 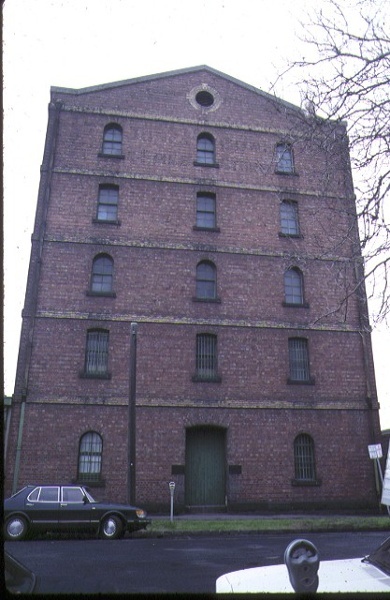 The Jones Bond Store is of historical significance as one of the largest extant 19th century store complexes in Victoria and one of the few remaining links with Southbank's early industrial and maritime past. The buildings provide evidence of the character of late-19th century warehousing and are a reminder of the fact that the river bank in their vicinity was once a hive of shipping activity. They show how warehouses and shipping freight facilities were more closely integrated in the fabric of the city in the years before containerisation and heavy freight haulage demanded more specialised and separate freight precincts. The simple but substantial character of the buildings reflects Melbourne's growing importance as a port city in the post-gold rush years. The Jones Bond Store is of architectural significance because it documents a development in building design, namely the multi-storey warehouse, a development which was influenced by the introduction of hydraulic lift technology in the mid 1880s. Jones Bond Stores B and C and Store 11 Southbank Boulevard, South Melbourne. The site of the Jones Bond Store first appears to have been occupied by William B. Jones from around 1866. Jones was described as a Lighterman and free store keeper and he appears to have run a kerosene store at the site, with other premises elsewhere in the town. The ratebook descriptions from 1865-6 until 1868-9 list "three timber and iron kerosene stores (Nos. 1,2,3) and a four room timber house with stables". By 1868-9, two additional stores (Nos. 4,5) were listed but appear to have been replaced by in 1870-71 by the Waverley Bond, a stone store built with heavy buttressing, presumably to withstand potential explosions. In 1872-73 a brick store is mentioned (No. 1) and another one (No. 3) in the following year. 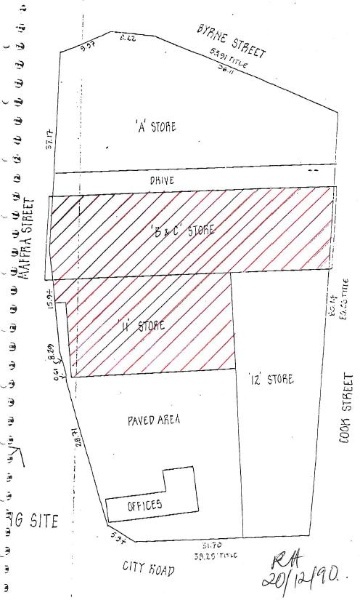 By 1874-5 a brick "New York store" is mentioned and two more brick stores (Nos. 2,6).